The "Apple Pickin" - best described as the Swiss army knife of cocktails. Here's what you'll need to knock up Barossa Distilling's Apple Pickin' cocktail, but if you're nearby you can always drop into the Distillery and let them do the hard work for you. Plus a large sprig of mint and crisp green apple to garnish! 1. Gently muddle the mint sprigs with sugar syrup in a cocktail shaker. 2. Mix in the Gin, lemon and lime juices, then add ice and the apple juice. 3. Give it a quick light shake and pour everything into a rocks or high ball glass. Top up with ice. 4. 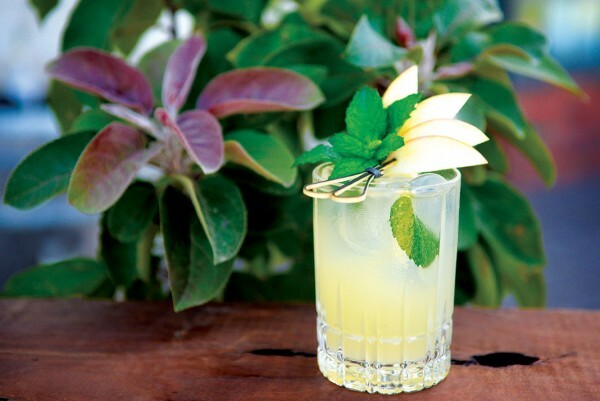 Garnish with a good sized mint sprig, give it a bit of a slap in cupped hands first to release the aroma! If you are feeling fancy go for an apple fan on a cocktail stick as well. The recipe can be found on The Barossa Mag's website.